Oh the joys of playing a new race and discovering new and interesting animations. 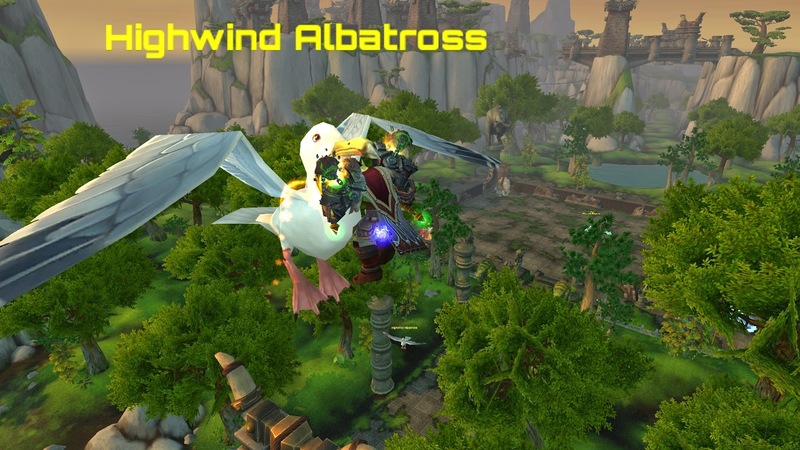 I’ve become so used to playing a blood elf at this point that i assumed every race had a standard pose or animation when it came to hitching a ride on an albatross on Timeless Isle. Boy was i wrong! I had a good chuckle for a bit when i hopped on one with my orc Shaman. Apparently albatross have a taste for orc head.